Friends SLET means "State Level Eligibility Test" and this test is basically for to become a lecturer in state colleges. If you want to make a career in teaching profession (lectureship) than you can apply for SLET (M.P. State Level Eligibility Test). 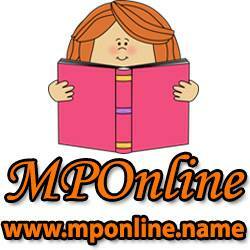 Friends in Madhya Pradesh the Professional Examination Board (Vyavsayik Pariksha Mandal) M.P. Bhopal conducts M.P. SLET. English, Hindi, History, Economics, Political Sciences, Sociology, Commerce, Physical Sciences, Chemical Sciences Life Sciences, Mathematics. (ii) The benefit of 5% relaxation in mark at Master's Level examina¬tion is extended to all categories of Physically handicapped candidates including blind and low vision disable. (iii) SLET qualified candidates should complete his/her Master's degree with required percentage of marks within one year from the date of the SLET Examination in which the candidates has appeared, failing which certificate will not be issued to the candidates.